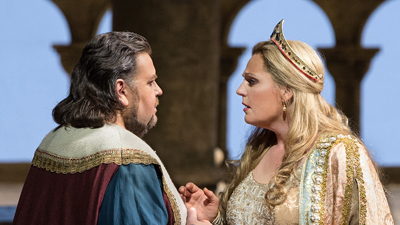 An all-star cast comes together for Wagner’s early Romantic opera: Peter Seiffert takes on the title role of the knight and minnesinger caught between earthly and spiritual love. Deborah Voigt as the saintly Elisabeth and Michelle DeYoung as the love goddess, Venus, are the rivals for his affections. 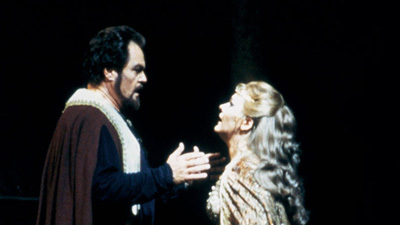 Thomas Hampson delivers an elegant portrayal of Wolfram, Tannhäuser’s friend, and Kurt Moll adds gravitas as Landgrave Hermann. Marc Elder conducts.